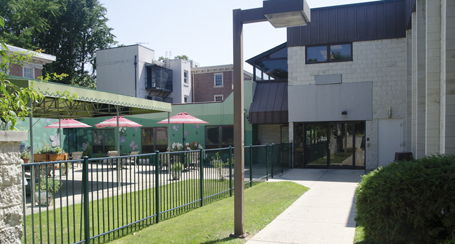 Renaissance Healthcare & Rehabilitation Center, a distinguished provider of short-term & long-term care, is situated in the heart of a proud University City neighborhood, only minutes from the renowned University of Pennsylvania Hospital. An integral part of the community, the center is proud to provide the option of post-hospital recovery care close to home. Renaissance is noted for utilizing the latest medical science and technology to deliver remarkable therapeutic results in rehabilitation and wound care.